Cottage Works | Your cottage is our business. Why work when you can relax? Your cottage is our business. Our professional licensed & insured services will exceed your expectations. 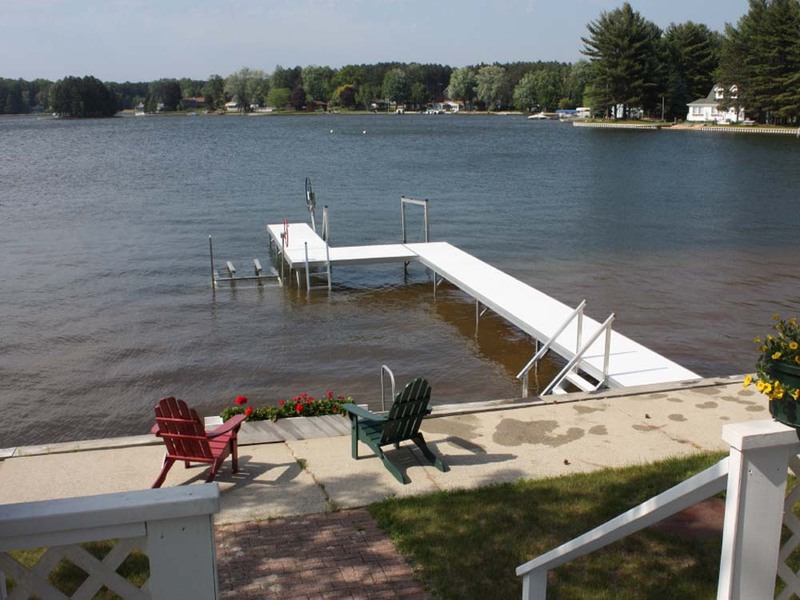 Seasonal full-service dock & lift install and removal. We take care of everything so you don’t have to. We offer Bulmann, Twin Bay, Great Lakes Lifts, Wave Armor and Starr. From a simple one piece to complete living space on the water. Winterizing your cottage or home in the fall and energizing in the spring. Our goal is to have it appear as if it was never shut down at all and you can just move back in. Whatever your design or needs we can build it for you. Want to add an additional bathroom? Transform your basement into an entertaining space? We can do it all for you. 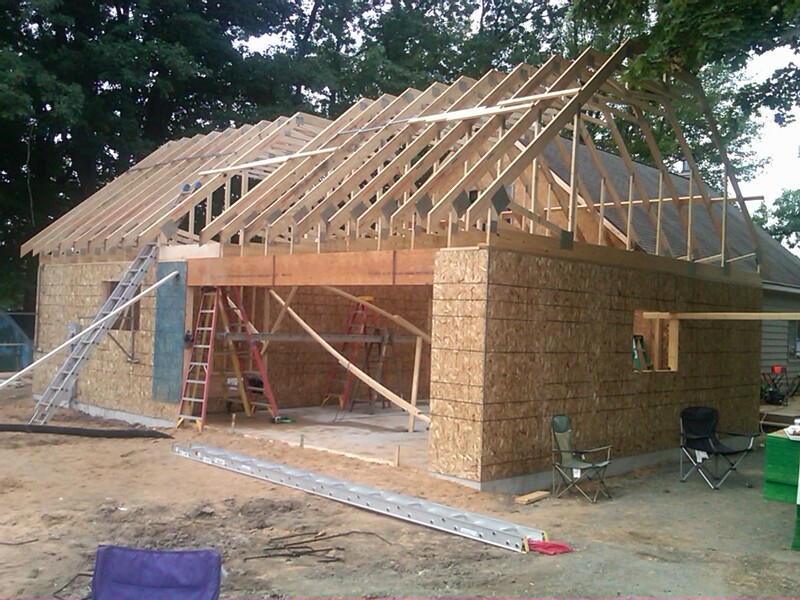 Since we have a builders license, we can do the complete remodel from start to finish. Need additional storage space? Looking to expand your living space? As licensed builders we can complete the job from start to finish. Want to keep your dock in year-round? We can build you a wood and/or composite deck to enjoy the entire year. We install vinyl seawalls to protect your shoreline frontage. Prevents eroding and provides and elegant solution. We will come to you and shrink wrap your boat. We can store it on your property or bring it to ours and deliver it back to you when you are ready. Drop your boat off or we can pick it up. We will shrink wrap it and store it on our property. We will then deliver it back to you when the time is right. We can provide you with design and construction services. Our AutoCAD drawings are accepted by building/zoning departments and will allow us to obtain the permits required for the job. More than just the technical details, we can make your dream a reality. Main floor deck or create an awesome 2nd-floor balcony to enjoy the views. 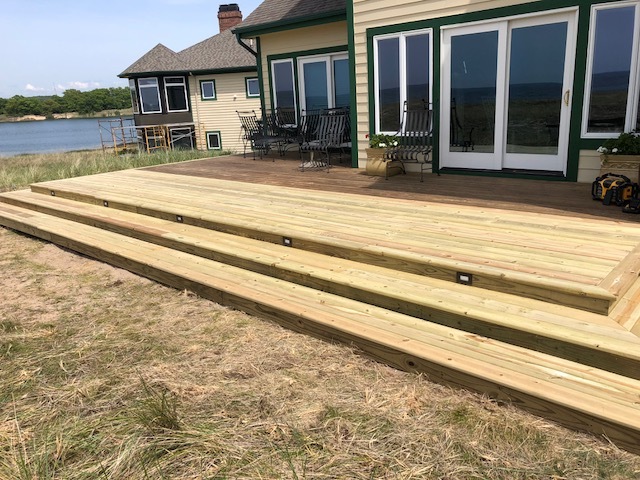 Looking to update the look of an existing deck or space? We can design and build custom railings. Have an idea? Let us know and we can create a plan to incorporate your idea. You can never have enough storage! Let us craft a space that will be perfect for what you need. Want to get electrical down to that fridge by the beach? We can help! As docks age, they need to be replaced. But you can extend the life of your dock by repairing it as needed. Extending a walkway from your home to the beach is a great way to keep the dirt at bay. Want to incorporate a patio to your property? We can do that too. Specializing in retaining walls to keep the water from eroding your beach front. Inside and/or outside painting and staining. Decks, furniture or interior rooms as well. This includes: Put in, take out, winterizations & cleanup (out-board motors only). Fall Winterizing and Spring Energizing. Our goal is to have it appear as if it was never shut down at all, and you can just move back in. Dock Installation & Removal. Have the peace of mind to know that your docks are being taken care of. I’d like to thank you for the great service we have received. It’s great to have a prompt and reasonable contractor available. Thanks again for a job well done. We arrived at the cottage yesterday afternoon around 4:00 p.m. and noticed the job was complete. Thanks! We really appreciate your dependability in doing the job when you commit to it as well as doing it when you say you are going to. Your business will do well with the professionalism you have in running it! Thanks again Dann……..you are appreciated!!! After over twenty years of putting in and taking out our own docks each year, we used Cottage Works to take out the docks last fall. What a relief to be able to get that big job done without having to get our son and friends to help us. We plan to have Dann and his crew put the docks back in this spring, and can’t wait to go to our cottage and see that huge job done for us. Dann, thank you so much for your concern for the house and warming it up before treating. And a big thank you for taking the time to take pics of the driveway. It really helps us out so much. You guys have the best customer service!